Newly-registered patents in Japan reveal that Yamaha are beavering away at the detail design of their 2013 PES-1 and PED-1 concept bikes – suggesting that the firm could be on target to get production versions into showrooms next year. Although Yamaha backpedalled slightly, updating the paragraph to replace the words “in two years” with “in the near future”, it has continued to file and publish patents relating to the electric bike project. 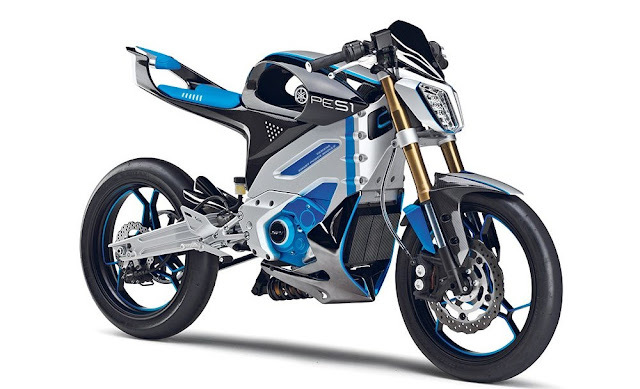 From day one, the off-road-style PED-1 and the road-going PES-1 sportsbike have clearly shared a huge number of components. Even in concept form, both models shared identical centre sections, with the same main frame components, motor, transmission and batteries. To these, designers bolted different rear frame sections, footpegs, bars, bodywork, wheels and suspension. Such is the level of adaptability that the entire rear suspension concepts of the two bikes were different – the PES-1 using an under-slung horizontal shock while the PED-1 featured a more conventional set-up, increasing its ground clearance – without the need to materially alter the main section of the chassis. However, the latest patents reveal that ideas are afoot for even more flexibility, effectively creating a set of bolt-together modules that can be used to create a wide range of machines from a limited set of building blocks. The lithium-ion batteries are key to the idea’s flexibility. The patents reveal that the centre frame section is actually a battery box, containing a pair of briefcase-sized batteries. Such is the detail of the patents that they reveal there’s a mechanism within these ‘briefcases’ that connects their handles to a catch that holds the batteries in place – simply lifting the handles into an upright position automatically unlatches each battery, allowing it to be lifted straight out. A fresh pair can then be slotted into place, instantly ‘refuelling’ the bike. 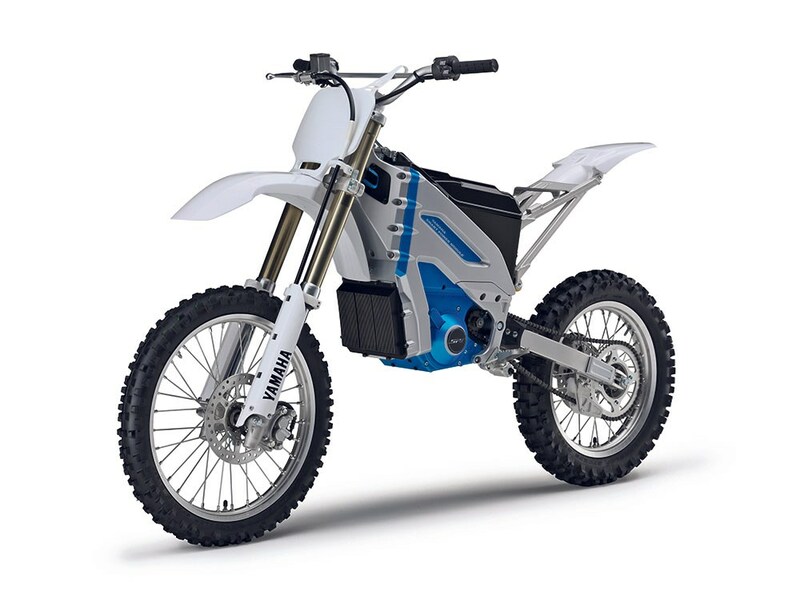 Possibly, Yamaha’s intention is to make sure that freshly-charged batteries are widely available – perhaps at fuel stations – to allow for swap-overs. While the patents don’t reveal any details about performance or range – not surprising given the constant improvement in battery and motor technology – it makes sense that the single pack would provide scooter-like performance, equivalent to a 125cc machine, with the twin and triple battery versions gaining 250cc and 400cc performance. While the PES-1 and PED-1 might still be a little way from production, Yamaha are one of the few to have already offered an electric scooter option – the £1999 EC-03 with 50cc moped performance, topping out at 30mph. The Milan show may well bring further answers.